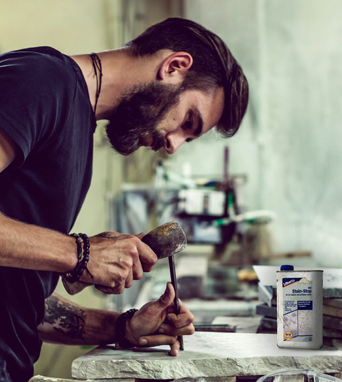 Cote D’Azure Marble Creating Class and Refinement! 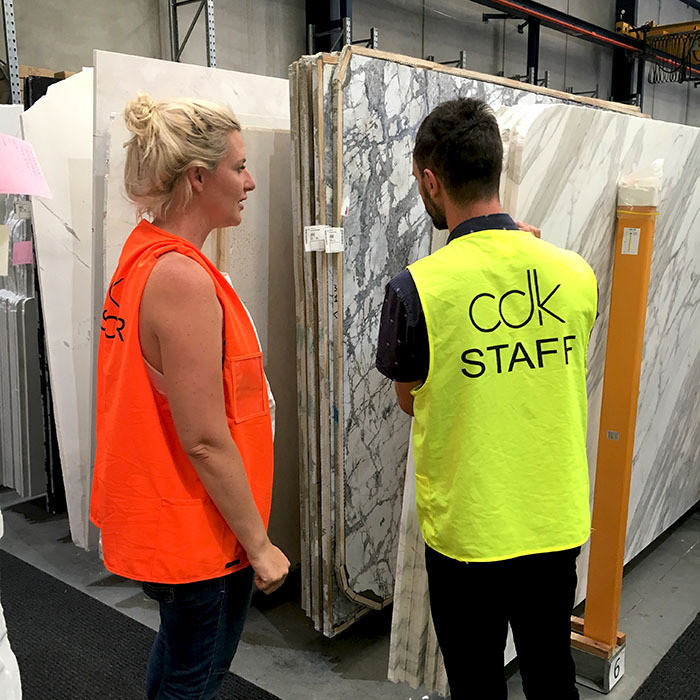 CDK Stone‘s favourites, Jess and Norm are hotting up this season of The Block. 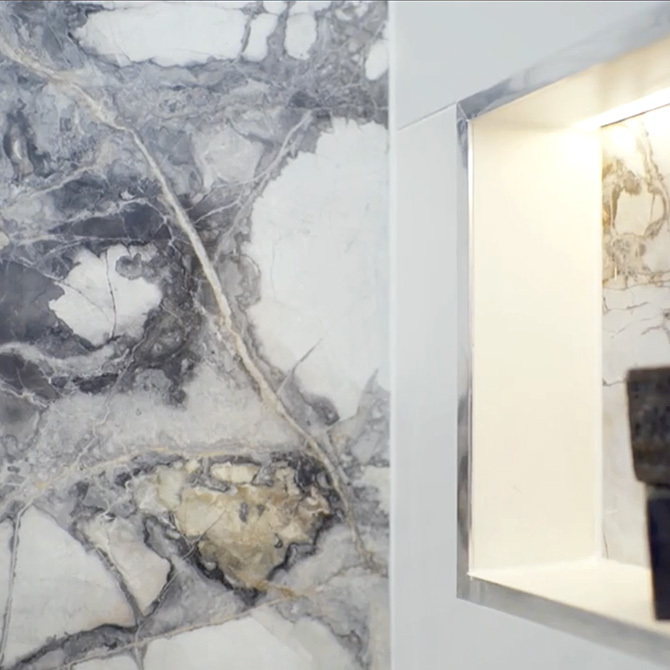 Revealing their breath-taking ensuite last night, Jess and Norm’s bathroom features CDK Stone’s Cote D’Azure Marble, that captured the judges attention. 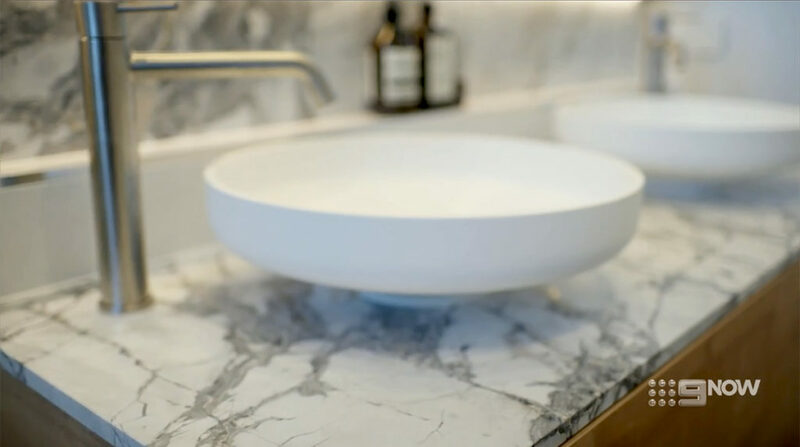 Fast becoming the most sought-after natural stone of the year, Cote D’Azure Marble is a bold statement in contrast. With a stark grey veining, this natural masterpiece provides a unique design unparalleled by common marbles. The bright white backdrop pays homage to the timeless designs of white, Italian marble. With a contemporary twist, Cote D’Azure portrays a strong focal point within any interior. 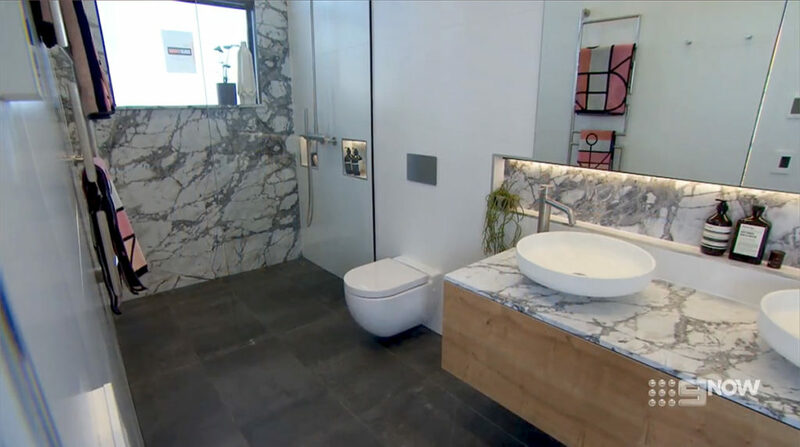 Last night’s episode of The Block unveiled the contestant’s ensuite bathrooms. With much anticipation, Jess and Norm’s bathroom was simply breath-taking. Perfectly harmonising the design, this natural stone masterpiece encompassed this space with an elegant aura. The consistency throughout the design was highlighted the Cote D’Azure vanity and feature wall. 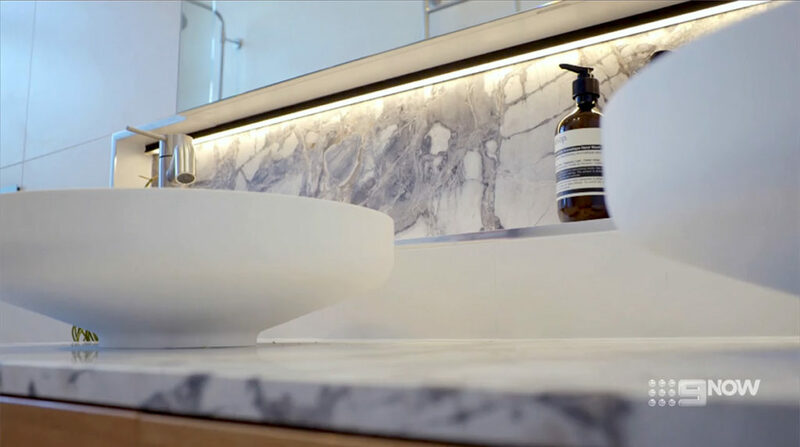 Synergising the other bathroom elements, this stunning marble provided a balance to this bathroom’s amazing colour palette. Well received by all the judges, Cote D’Azure was the highlight of Jess and Norm’s ensuite. 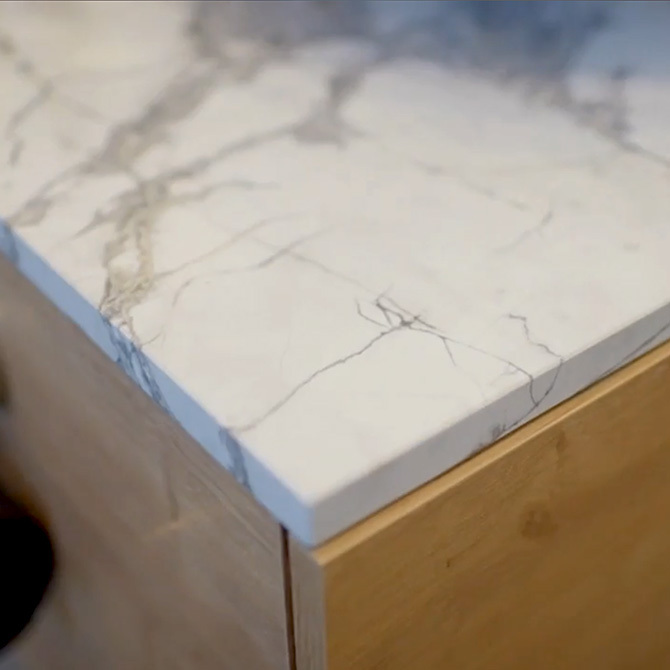 Perfectly flawed, Shaynna Blaze added “to me this marble is beautiful”. With Neale Whitaker adding “I do love this marble” and John McGrath commenting “This colour palette is beautiful”. CDK Stone is proud to supply Jess and Norm with their dream stone. With the incredible ensuite now revealed, what design ideas will we see next from these two? * Images sourced from The Block on channel Nine. 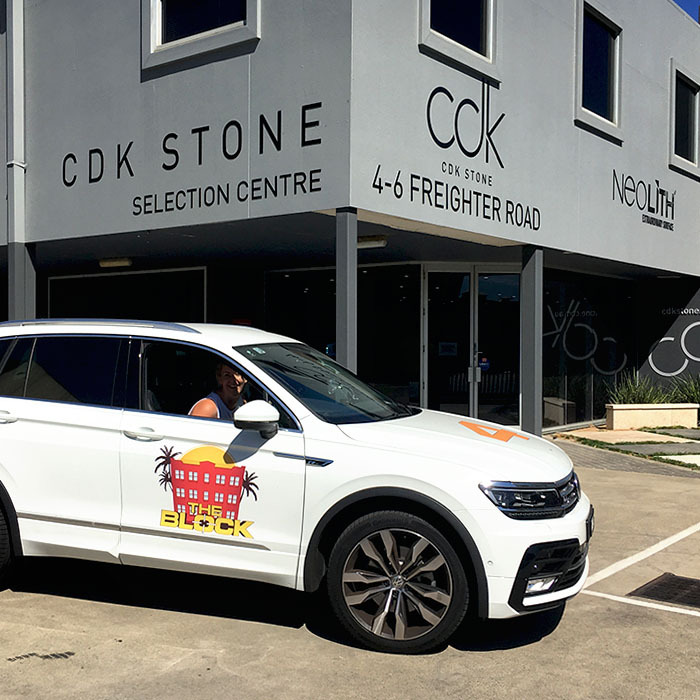 The Block’s Crisis Resolved With CDK Stone’s Tools!